Suboxone is the other leading opioid replacement medication and it is becoming increasingly popular as an option for opioid addicted people. Suboxone has historically been too pricey for most patients, but a cheaper generic version is rumored to be on its way to market in the near future. Suboxone offers some unique advantages in that patients do not have to be observed dosing each day at a treatment clinic, and they can receive up to a two week supply via prescription. Medicaid already pays for suboxone and some states are preparing themselves to help cover the cost of generic suboxone once it is released. There is excellent science behind the effectiveness of opioid replacement therapy. 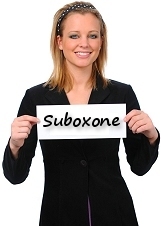 While methadone is by far the number one treatment alternative for opioid addiction, suboxone is beginning to garner positive acceptance in both the medical community and general public. The most important issue at hand is that addicted individuals have good treatment choices at their disposal to alleviate opioid withdrawal so that they can once again pursue their hopes and dreams. If you would like to compare methadone, suboxone, and opioid detox, visit our opioid treatment comparison page here at Methadone.US.